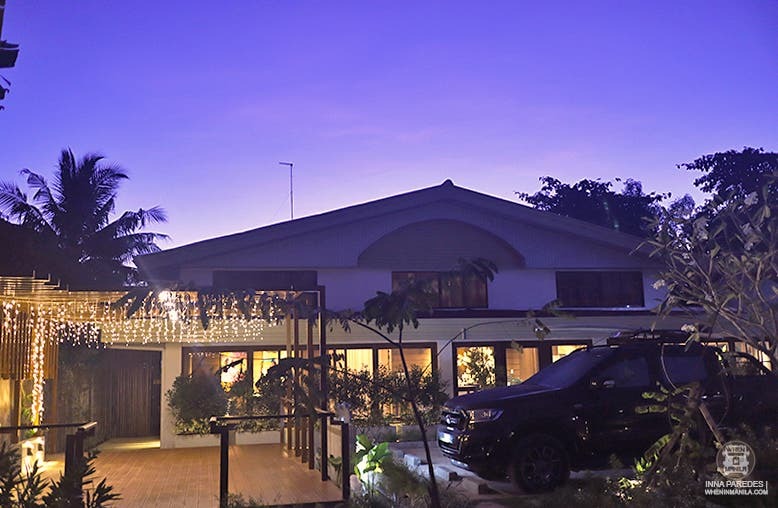 Tucked away in a quiet street in Barangay San Pedro, Balai Princesa was our own little sanctuary set in the celebrated tropical nature lover’s paradise that is Puerto Princesa, Palawan. At the end of a full day of excursion and nature-loving activities in the coastal town, we needed to regain calmness and tend to our aching muscles. Thanks to the stars, we stayed at the newest and most promising Bed & Breakfast that offered exactly that and more. It’s a heavenly cradle for the discerning digital nomads like us. Plus, it’s only 5 minutes away from the airport and a tricycle ride away from the commercial center. We continued the brief tryst with nature indoors, thanks to the touches of flora-inspired decorations. With a neutral color palette and natural textures, the beauty of the outdoors was made very apparent inside the natural light-furnished space. A blooming Balayong motif, Palawan’s native cherry blossom tree heaping with light pink and white flowers just like in Japan, injected life into the space evident in the paintings and an actual Balayong planted by the pond. For a Bed & Breakfast converted from an old home, each of the five guest rooms were entirely sophisticated without losing that homey feel. All the little details were clearly made with particular care. The beds were comfortable and had lots of space to roll around; the furniture was tastefully designed; and even the toilets showed a level of elegance you don’t see in a typical B&B. Its laid-back luxury combined with constant personal attention from the professional team gave us that singular feeling of inner comfort and happiness. The garden has a relaxing sauna and a glowing hydro massage bathtub which, on top of recreation, was part of the whole treatment process to improve our physical and mental wellbeing. After soaking in the warm water, we proceeded to their in-house spa. One complimentary massage may be availed per booked room. That’s some serious TLC! Their massage was so good that I had two in a span of 24 hours! That may not be the most ideal interval, but I felt like the happiest chicken tender on the island. To improve circulation and promote healing (with a high chance of salivating from sheer pleasure), try their Traditional Hilot with banana leafs and ventosa. Their unique technique left ZERO bruising. It’s recommended to soak for around 45 minutes before proceeding with the massage. 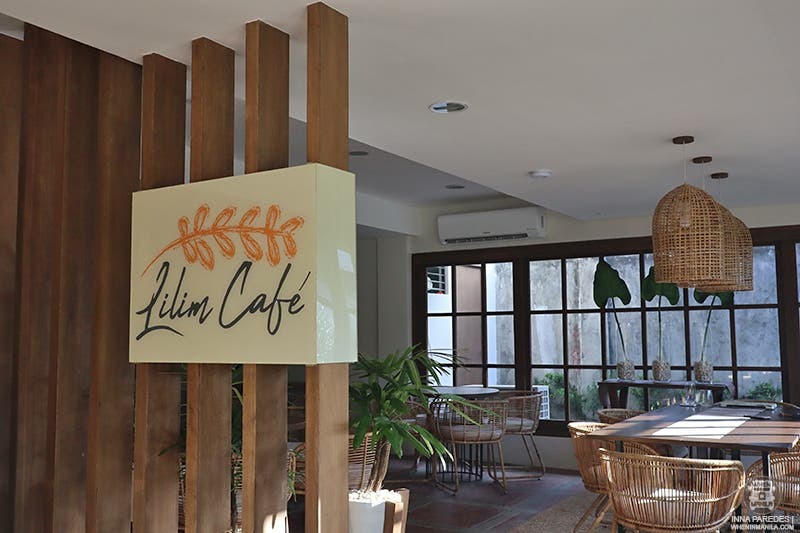 Under the shade of their Balayong tree is their market-to-table all-day restaurant “Lilim Cafe”. Lilim means shade in English, but their brilliant concoctions are one their greatest highlights and shouldn’t be missed. After all, Chef Paolo Sobrecaray, who is a veteran at internationally renowned USA hotels like St. Regis, Utah pours his heart and bold originality into each dish. For an eggy option, try “Tatay’s Breakfast” with longganisa, bacon, garlic rice, and 2 sunny-side up eggs. 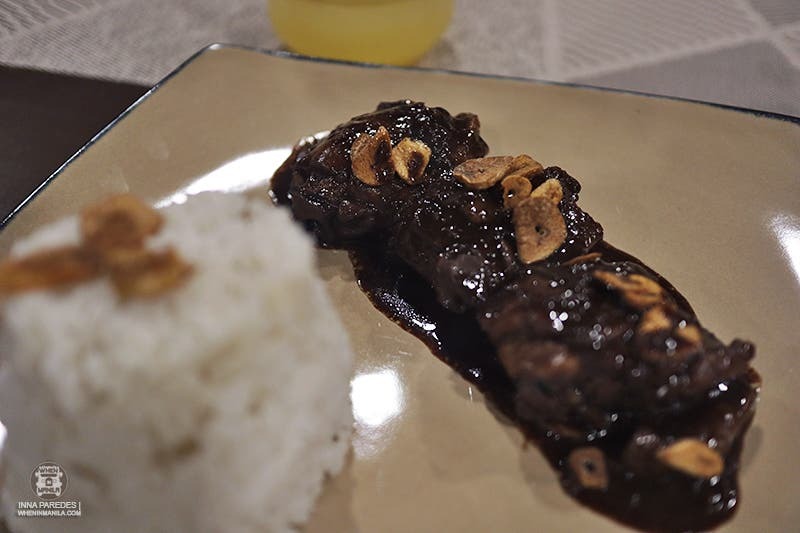 “Adobo de Tablea”: Chicken cutlets cooked in Tablea tsokolate. Ever since I tasted this bittersweet innovation, my adventurous but disloyal tastebuds now prefer this over my grandmother’s chocolate-less version. Please don’t tell my Lola. “Kaldereta Fetuccine”: Tender beef stewed in fettucine pasta, parmesan cheese, and garlic bread. They serve generous portions at reasonable prices! 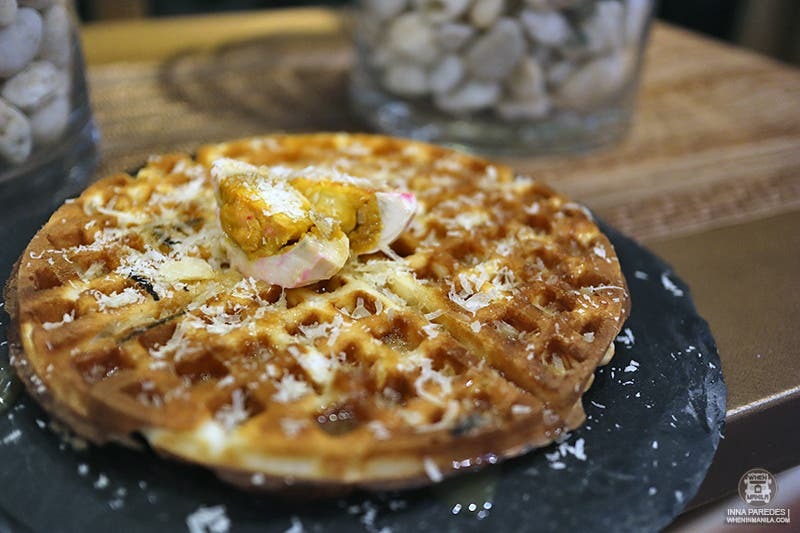 Have you ever heard of “Wafflingka?” I bet you haven’t because Lilim Cafe conceptualized this salty, sweet, and savory genius. It’s a toasty bibingka waffle that comes with buttercream, coconut, caramel syrup, and that vital itlog na maalat (red egg). Ben & Ben should rename their “Bibingka” song to this. 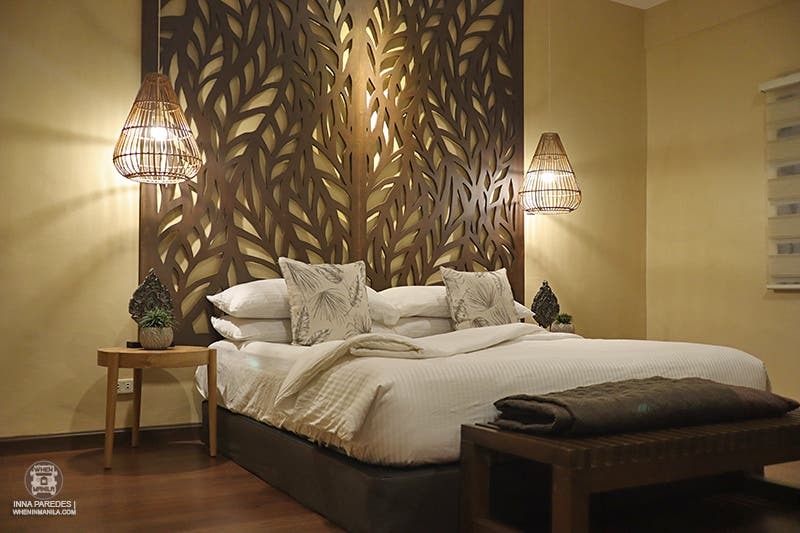 The owners were primarily inspired by the Balayong and wanted to recreate the experience of basking in the beauty of indigenous flora. Balai Princesa achieves that and while at it, elicits awe and inspires sublimity in every moment spent in the comfortable abode. 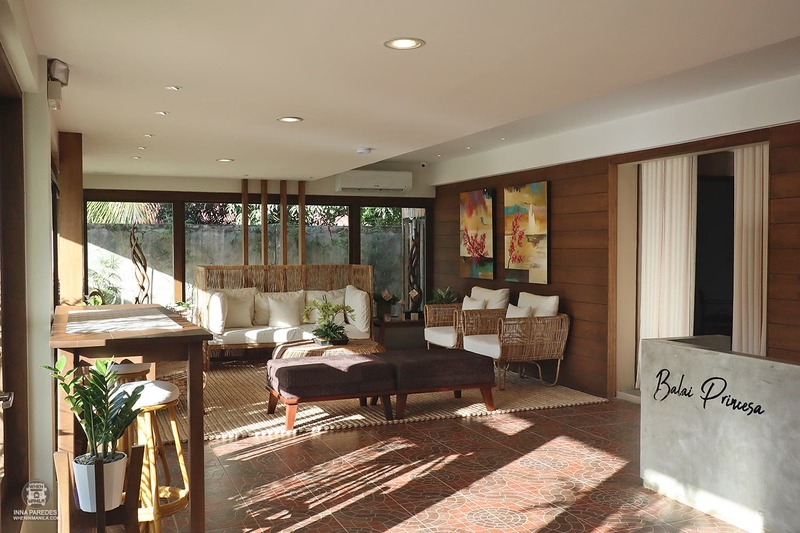 At Balai Princesa, luxury is simple. 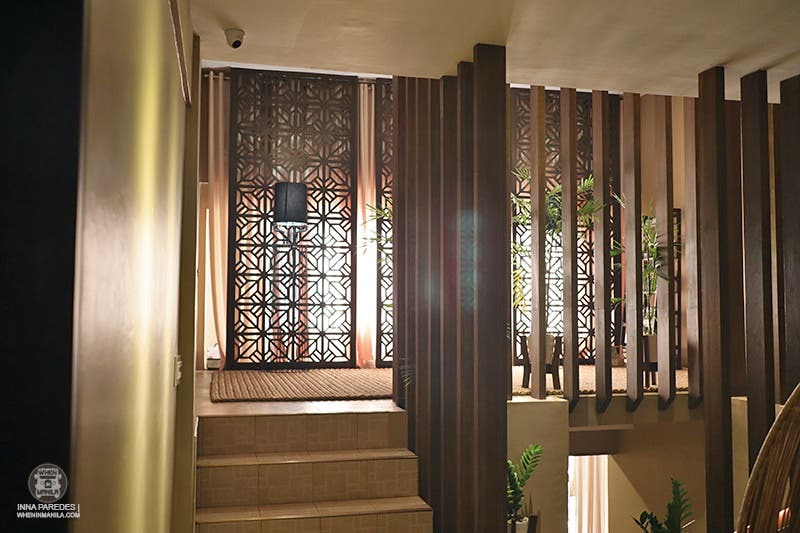 Welcome to a tranquil oasis right in the heart of the city. Welcome to your humble space where the comfort of home meets the idyll of paradise.